With a First Mid Business Online Banking account, you can also access your information using our First Mid Business Mobile App. 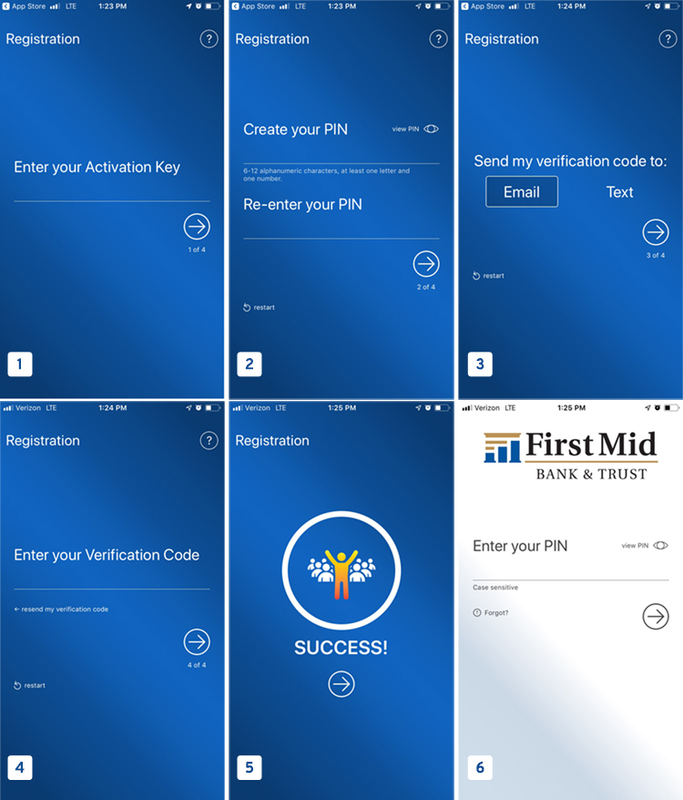 In a few simple steps, download and activate the app, then have your account information when you’re on the go. **Some features are based on user permissions. Download the First Mid Business Mobile App from the Apple App Store or Google Play Store. You will need your unique software activation key to complete the installation process. You may send a secure message within Online Banking to request your key. Remember – your activation key is unique to each user and will not work for any other users in your company. Once you have your activation key, you can set up your Personal Identification Number (PIN), which will be used to access your account, and complete the registration process, shown below.